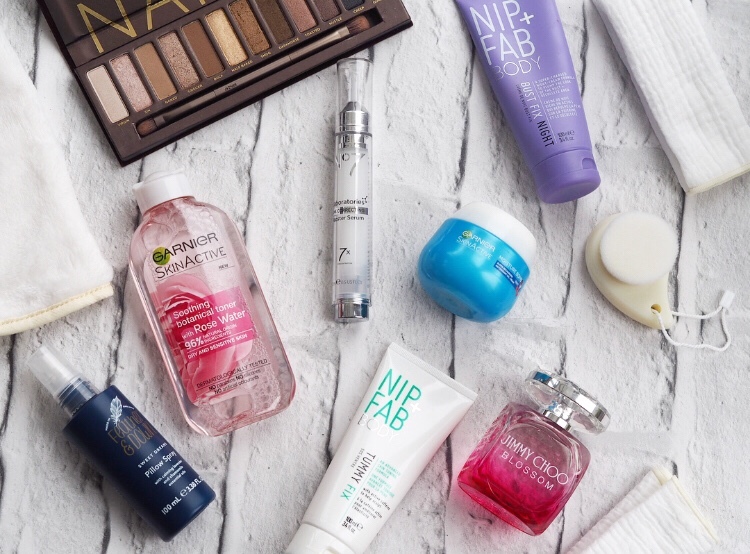 It feels like ages since I last shared with you my beauty favourites, so I thought I would do a little round up of the skincare and makeup items which I’ve loved lately. I already have the Urban Decay Naked 2 and 3 palettes, and I love them! The pigmentation of the eye shadows is incredible compared to others I have used, and I love how quick and easy it is to get a nice smokey eye using these palettes. I hadn’t ever had the original Naked palette, so I treated myself to it with some of my birthday money. I was considering the Heat palette, but overall I preferred the shades in this one better (I don’t overly like reds and browns). I have been mainly using sin and sidecar, they are so nice for a simple day or evening look. I have been trying this out for the past few weeks and I am confident that the small lines around my eyes are starting to fade a little. I’m not necessarily the age the product is aimed at, but I do think that it’s worth using anti-ageing skincare in your late twenties. I am using it every night as part of my skincare regime. I was sent these recently to try out and I love how soft they are! I am awful at properly cleansing my skin at night, so I’ve been using these to really pamper myself before bed, and I love the range. The face brush is so good! I used to use this night cream religiously, and then I ran out and completely forgot about it. I love how hydrated it leaves my skin and a little goes a really long way. It is priced at around £8, but I bought it on offer for £6, and I think it’s brilliant value for money as I use so little each time. I haven’t actually used a toner in years, but I figured I should do. When I picked up the night cream from Garnier, I decided to give one of their toners a go at the same time. This rose water one is formulated for dry/sensitive skin, so I’m hoping it’s not too harsh. I love perfume, and Ed gave me this one for my birthday. I’ve been wearing it since, and I love how fresh and feminine it is. The bottle is gorgeous too, I’m a sucker for pink! I hadn’t actually heard of the brand Nip & Fab before, but when I was browsing Feelunique’s site, looking for ideas of what I could get with my birthday money, I came across their tummy toning gel, and the reviews were all really positive, so I figured I would give it a go. I have been using this at bedtime every day since I got it and, although I am not sure if my tummy is actually more toned from the gel, or as a result of the fact that I am doing a lot more exercise at the moment than I had been, I feel like it is doing something, and I like the slightly cold sensation as I apply it. I am hopeful that it might help me feel more confident in a bikini this summer. Intrigued by the brand, I had a little look at what else they offered, and saw their bust fix cream, which promises to tone up the bust and décolletage area. Having breastfed all three of the children, I have been left with a somewhat deflated chest. I have pretty much come to terms with having small breasts now, but I do feel self conscious about how they look since Benjamin stopped feeding from me. I have been applying the cream at night as instructed, and time will tell whether it works to firm the area back up again. I have been using this religiously and I love how it smells. I fall asleep quickly, and it settles my mind if it’s been racing (which it usually has when I go to bed at night). This post contains some gifted items, however all opinions and photos are my own.